Pace. Style. Agility. 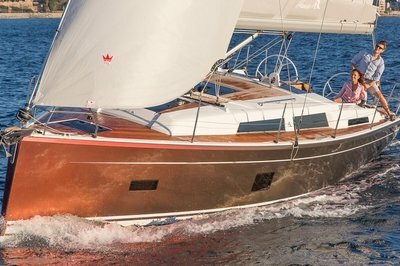 It’s there for all to see, especially when speeding along the coastline at an impressive 44 knots. Accommodating up to eight guests, this stalker of the seas delivers exclusivity and practicality in equal measure. 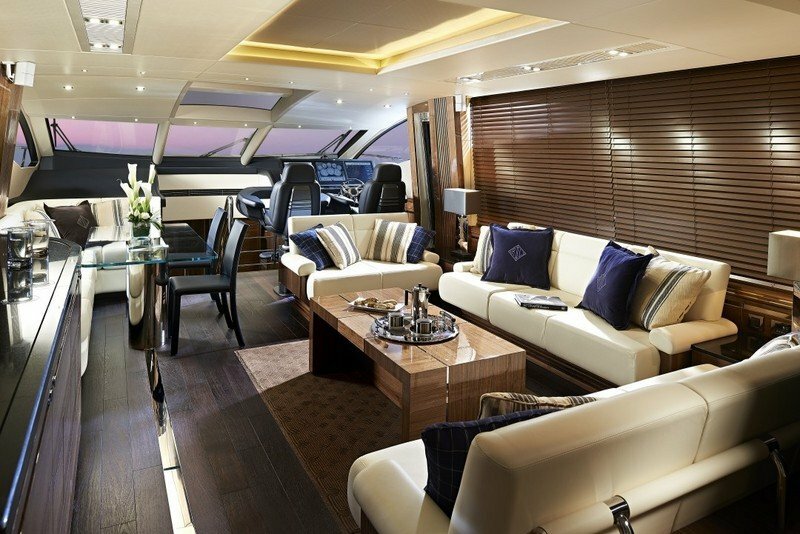 The main saloon is light and open thanks to large hullside windows and full height sliding doors that lead to the aft cockpit. And it’s here where you can dine in the open air or spread out and enjoy relaxing in the sun. Below deck, the stateroom and guest cabins are intimate and secluded. 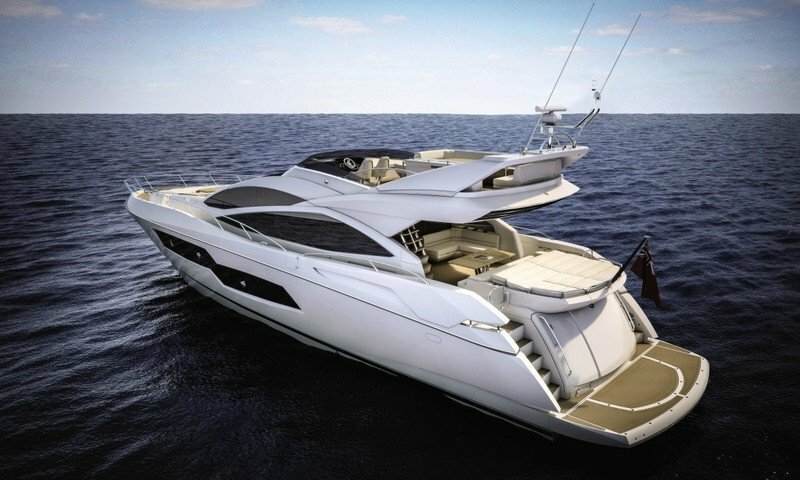 Continue reading for more information on the Sunseeker 80 Sport Yacht. Thanks to their iconic styling and unmistakable design, it’s possible to recognize a Sunseeker at a glance. 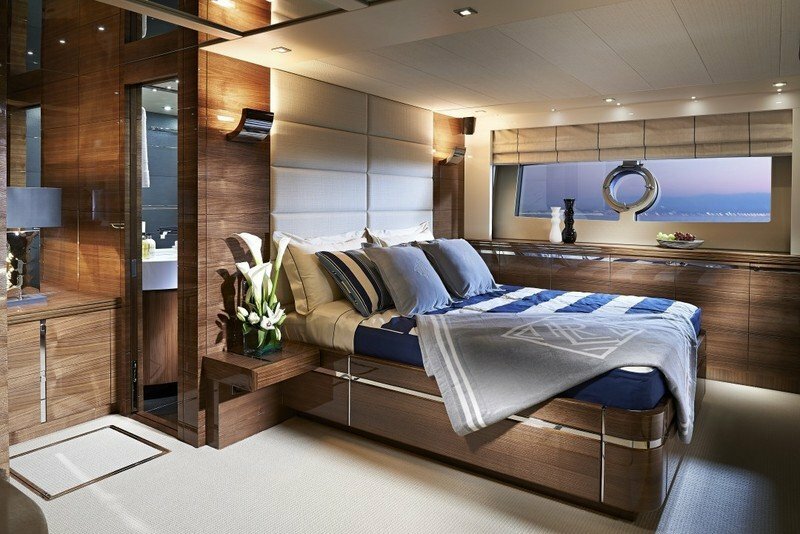 Renowned for their style, craftsmanship and attention to detail, each room onboard the 80 Sport Yacht is as impressive as the last. FUEL CAPACITY 6,000 litres / 1,585 US gal. FRESH WATER CAPACITY 1,000 litres / 265 US gal.